I always like to do a simple annual overview this time of year, then fine-tune it each month with my Singing Time Schedules (if you don't know how I do those, check out my post HERE). 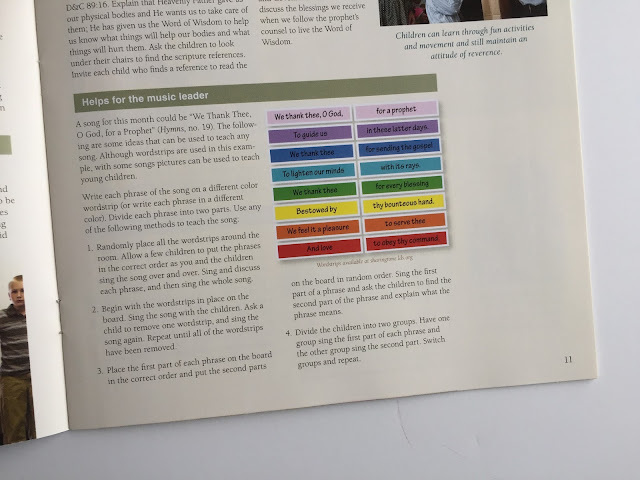 I also work on my 2018 CD song list (our primary hands out CD's as a Christmas present from the Primary each year). See my previous years of CD's HERE (2018 version coming next week...I'm not sure if I'll be copying exactly my 2013 version HERE but it's a good start). You can also make a DVD. See how I used them in a DVD format for singing time last year HERE!). 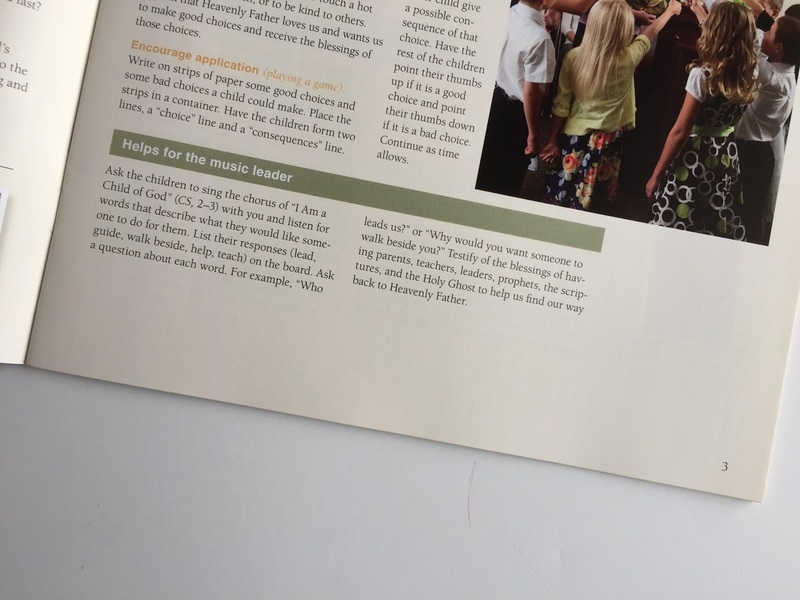 *These are my 2 "song of your choice from the Children's Songbook" choices. I'll have lesson plans ready a week or so before I start teaching these. These songs are also different from what I taught in 2013 - thought I'd branch out a bit and teach some songs we haven't learned yet. The beauty about doing this calling long-term is everything has been repeating every 5 years. You can check out all of my 2013 posts HERE (including the 2 my-choice songs I picked then) which have the same material as 2018! Some of the posts need a little TLC so I'll be updating/modifying them throughout next year. 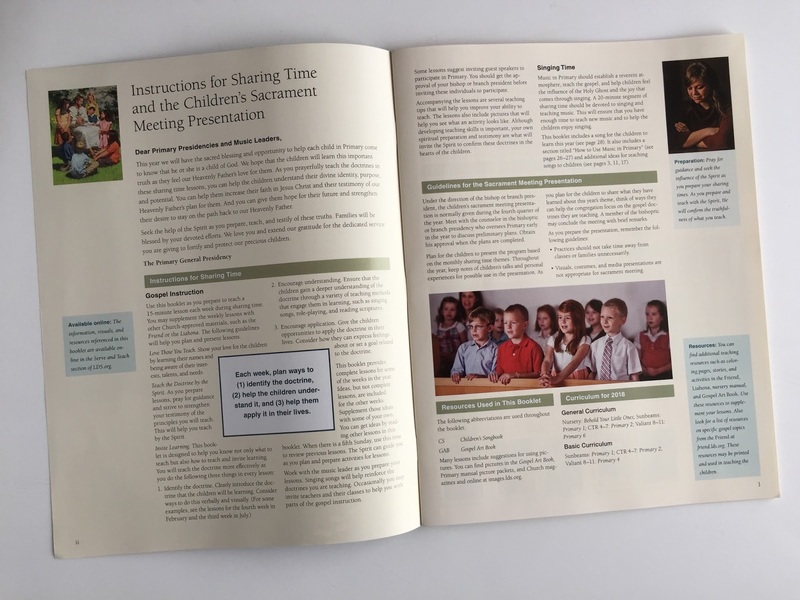 Page 1 has a "Singing Time" section which gives simple instruction on how singing time should run, how much time you get (which specifically says, "A 20-minute segment of sharing time should be devoted to singing and teaching music." Make sure you get that!! ), along with other information. Also are guidelines for the Sacrament Meeting Presentation. There was a tip on p. 22 regarding primary songs reinforcing the doctrine! I always like to choose the song we sing for opening exercises to coincide with the weekly sharing time lesson for this very reason. 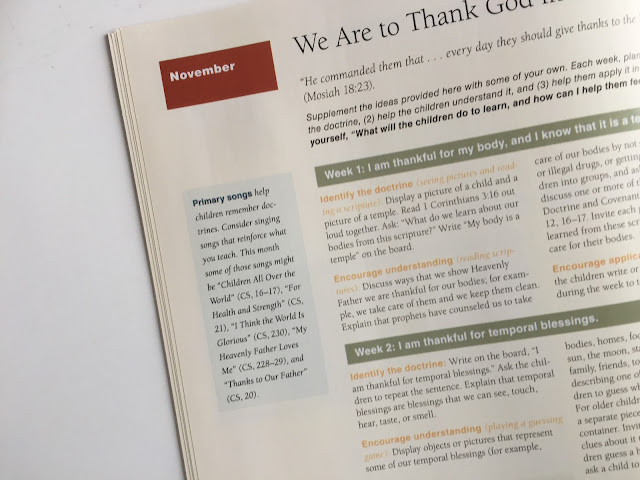 Page 28 is a copy of this year's theme song (to be taught in March), If the Savior Stood Beside Me. 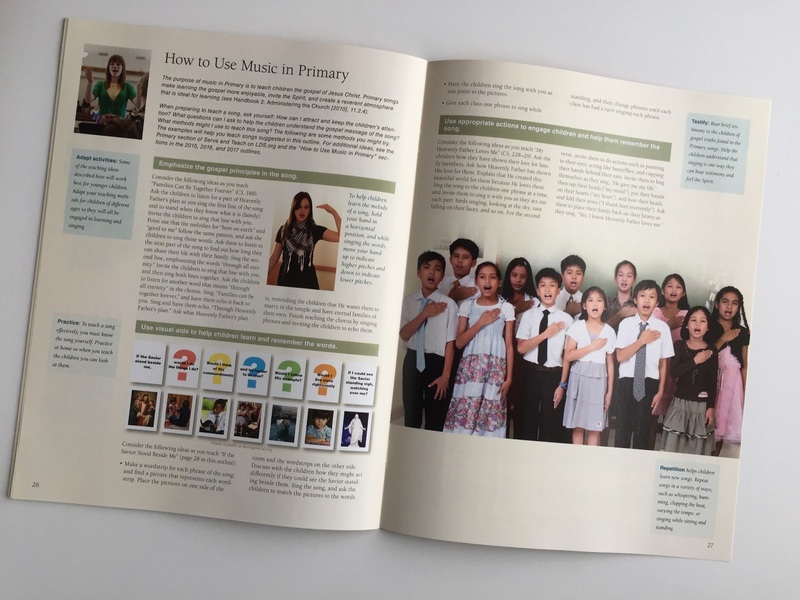 You can download the music by downloading the whole PDF 2018 Sharing Time Outline found at the link above or HERE. Anyway, there you have it, a brief outline of 2018's outline. If you haven't looked through it yet, I'd highly recommend it! January is just around the corner and it's nice to have a head start on next year! Throughout the year, you can check out all of my posts related to the 2018 outline HERE . (I'd recommend you reading them from oldest post to the newest post!). Thanks so much! I appreciate all you do in your calling. It really helps me out too! I'm great full for all you help and insights. Every time, I have an idea come to me I look at your blog. Dear sister, I am immensely happy to have found your blog. I am Brazilian and recently I was called as music leader of my ward. 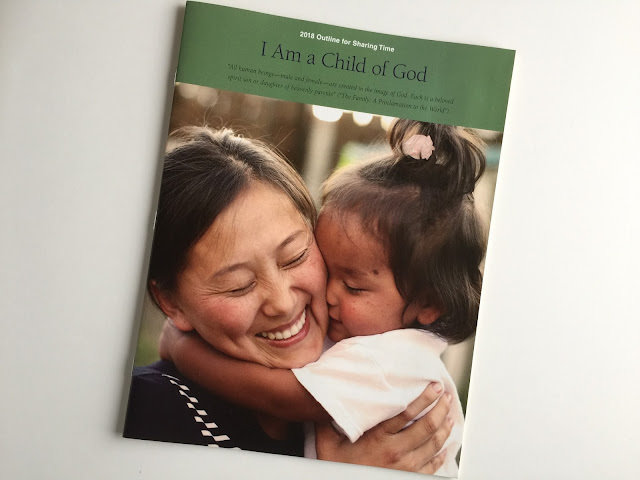 I have sought to magnify my call, to bring the children the love of our Heavenly Father. Thank you so much for sharing your talents, it will be of great help to me. I have also been in this calling for MANY years, and love it! It is the best calling in the church as far as I am concerned. I love your ideas and appreciate all the work you have done to help all Music Leaders in the church. 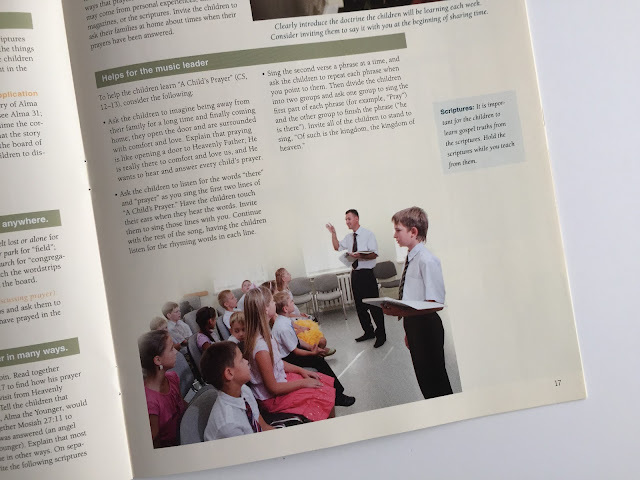 One thing I always try to do when teaching a song and using visuals is to use the church artwork. I get it from the art kit or the extra pictures from the Primary lesson books. I also use clip art when I need to, but I love using the pictures the children see in their classes. I feel it helps to reinforce the lessons and principles they are learning in class. Again, thanks for all you are doing to help us in our callings. FYI, The distribution Center are no longer caring them. I was not able to order mine. New guidelines say only 3 per ward. I was able to purchase my copy at my local Distribution Center in November. They had a stack there and told me that they sell until they are sold out and can't order more.